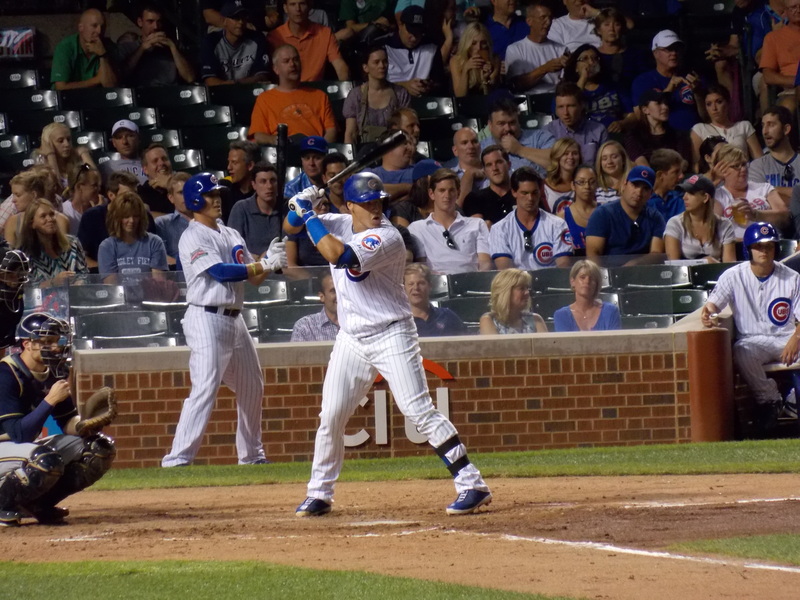 Should Rizzo, Castro Be Shut Down by Cubs? The Chicago Cubs knocked off the Milwaukee Brewers by a score of 7-1 on Tuesday night at Wrigley Field, and even though the performance was arguably one of the team’s best of the season, there was still bad news that put a damper on the festivities. That’s because Starlin Castro, who has had a resurgent season after chafing last season under Dale Sveum, was injured in the first inning of the game on an awkward slide into home plate. The shortstop was able to limp to the dugout under his own power, but he was understandably removed from the game. X-rays were negative after the game, but he will undergo an MRI on Wednesday to see if there’s any structural damage to the leg. Add to that the frustrating back injury that continues to hamper first baseman Anthony Rizzo, who is sidelined for at least the next 10 days after an MRI revealed a muscle strain, and the Cubs are looking as though they could be without their two best players for a good chunk of the remainder of the season. The team has declined to rule either player out for the remainder of the campaign, but it shouldn’t come as a surprise that the team is going to play each injury cautiously. The real question for the Cubs is this: even if Rizzo and/or Castro can come back and play this season, would the team be smart to just sit them both for the duration? After all, Rizzo already has 568 plate appearances this season, and he’s set career highs in home runs, on-base percentage, and OPS. He clearly is more dialed in at the plate than he ever has been in his career, and as such he doesn’t really have much left to prove for the team down the stretch. Chris Valaika on the other hand could earn himself a reserve spot on the team next season if he can have a strong finish to the season. He only has 71 plate appearances with the Cubs so far this season, with two home runs, seven RBI, and a .185 batting average. Those numbers aren’t all that great, but he has shown signs that he could be better than his numbers would indicate, and more plate appearances would be a nice audition for him. Castro is also a player without much left to prove, as he has shown increased power and plate coverage in his fifth MLB season. He has a very respectable .290 average, 153 hits, and a career high .774 OPS. His defense still needs some work, but with so little time left in the season, it’s unlikely that he would get much more time at the position anyway, so cutting him off now would be a savvy move. In addition to those factors, getting Javier Baez some more reps at shortstop could only be a good thing for the rookie. He looked perfectly comfortable at the spot on Tuesday after being forced to switch from second to short following the Castro injury, and he could really thrive if given some more reps at the spot. Whatever the Cubs decide to do, they have the benefit of not only being out of the playoff hunt, but of having players capable of filling in if Castro and Rizzo have to sit out. That is a luxury that most teams would love to have at this point in the year, and the Cubs should take full advantage of the chance.